Are you or have you ever thought about building a new website but feel overwhelmed as to where to start? Well, you aren’t alone. Often time when I get calls from potential clients about starting or redesigning a website they are lost as to what the difference is between hosting and domains and all the website jargon. If you are one of these people, I don’t blame you. The technical side, or behind the scenes of a website that allow for a pretty home page can be tricky. I’m going to try to explain the basics of what makes up a website and what you need to become familiar with if you are planning on starting a website of your own. If you are like most small business owners or small start-ups, chances are you don’t have a budget for buying a premium domain yet. This is when your creativity has to kick in. You will have to play around with the letters or wording of your domain. Just make sure its something that is easy for your ideal client to remember as well as something that you can visualize in your marketing materials. Ok so now that you get what a domain is, you need to purchase it. There are different ways to figuring out if your domain is already taken. The easy way is to just type in the domain you are looking for in the address bar of your browser. If you see a website then it is obviously taken. If not, you will probably see a weird search page associated with your internet provider. The other way is to use a domain generator or search engine site like NameMesh. NameMesh helps you find the right domain using words you input. So, for example, If you typed in thencomescooking.com, it would give you alternate versions available because I already own that domain. If you don’t see something you like when looking for your ideal domain name, keep searching different domains or play with the words until you see one that is available. I recommend sticking to a .com just because it’s what most internet users are used to. Once you find the one you like, click on it and you should be redirected to a registrar like GoDaddy where you can purchase it. Domains are a one time charge per year or several years depending on what you select. The price is usually under $10 per year. If I was looking for thencomescrawling.com then it would be available. Now that you’ve established your domain, let’s think of this as the address to land you’ve just purchased for your new business. Website hosting, is what allows you to upload your coding and files and make it a running website available to the internet world. Think of this as the building that will house all of your business belongings. As with the domain, you have to purchase a hosting plan from a provider. The difference is hosting is based on a monthly fee which depends on the type of hosting you purchase. A heavy duty site with ton’s of traffic requires more resources and support than the small website you are just starting. Godaddy is one of the most popular companies where you can purchase both your domain and hostings plan along with all the other technical goodies for your site. I use Godaddy for some of my sites and usually don’t have issues. The only downside to GoDaddy is that if for any reason the payment to your monthly hosting or hosting renewal doesn’t go through by the due date, your files will be deleted right away. There is no grace period as with Bluehost. You sometimes get lucky and can call and pay $100 for them to restore it if it’s only been a few days. Then you have to wait a couple of days and hope it all goes back to normal. Trust me, you do not want to let this happen. It is such a horrible feeling and you feel really stupid for letting it happen. This is why you need to make sure you back up your site but that is for another post. The other company I mentioned is Bluehost where you can also purchase both your domain and host plan. What I like about Bluehost as mentioned above is that if your credit card number changed and you forgot to update it in your account before you realize your site is down, you are able to just log in and pay the balance due. Your site is restored almost immediately and you don’t have to pay $100. Yei! 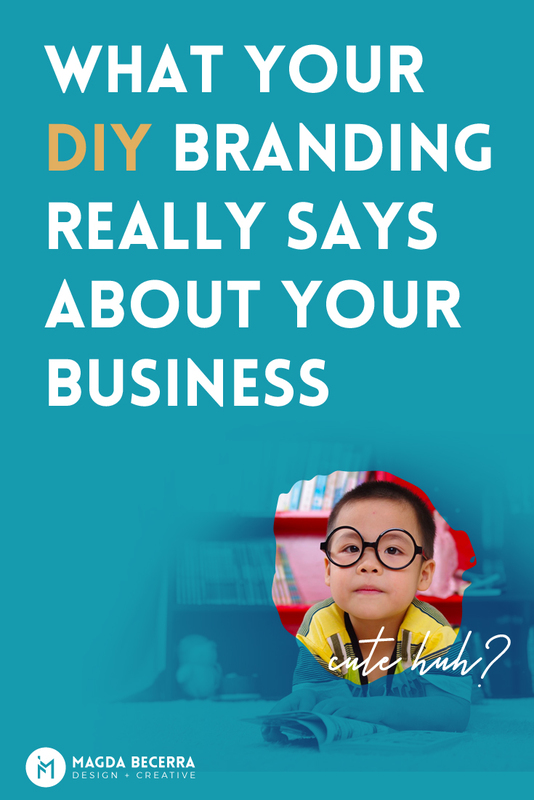 So now you have your address and the building that will house your business but who is actually going to customize your storefront and how will you manage it? This is where content management systems kick in. Unless you are a big startup with a big budget to hire a designer and a developer to build and edit your website, you are most likely going to want to have some control over your content. You’ll want to be able to run it or at leat know you can run it on your own without the need of hiring a developer to make changes all the time. A content management system allows you to do just that. It makes the backend of your website user-friendly enough for your to manage or at least edit content whenever you need to. You’ve probably heard of the DIY website tools like wix.com, Shopify, Squarespace or WordPress. These can all work for the small business owner but they vary based on restrictions, capabilities, and your technical knowledge. Out of these, the platform that gives you the most control over your website is WordPress, which is what I specialize in. Those other platforms are great if you are tech savvy and have a good eye for design. However, the average small business owner doesn’t usually have time to learn how to use these programs nor the design skills to make their website look professional. If you’re the exception, kudos to you! The good thing about CMS is that this is usually up to the person you hire to put together the website for you. Do some research and decide which is best for you. If you choose WordPress, I’d be glad to let you know why it would be a great choice!